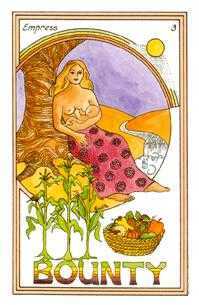 The Medicine Woman Tarot honors Mother Earth and respects all beings, embodied and in spirit it guides through the seasons and the powers which they provide to alt who lives in Earth’s embrace Severity-eight positive images depict the feminine strength in both men and women. Carol Bridges. 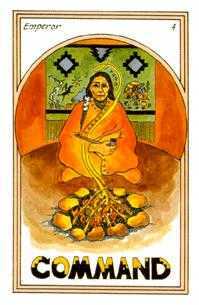 To use the Medicine Woman Tarot deck, you must become friends with It The deck speaks not only to the intellect, but to the body, emotions and spirit. You must write about it speak to it, cry over it, laugh with yourself of the characters depicted herein are rotes you play, people in your life archetypal forces, and medicine helpers, rotted info one at the same time they depict a path of tile, the laws of manifestation the biochemical interaction of cells. 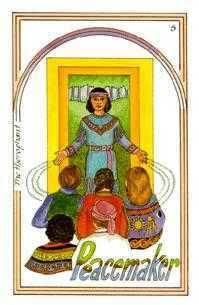 The evolution of humanity and your daily encounters There are many levels through which these beings of Medicine Woman Tarot will be working with you. 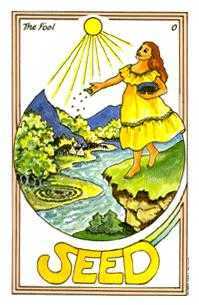 The cards of the Medicine Woman Tarot comprise 21 Major Arcana and fifty-fit Minor Arcana. 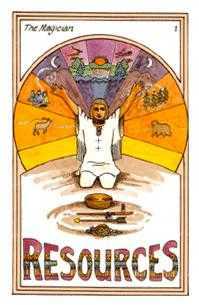 The suits of the Minor Arcana are Stones (Pentacles), Pipes (Wands), Arrows (Swords), and Bowls (Cups). Each suit comprises ten numbered cards and Exemplar (King), Lodge (Queen), Totem (Knight), and Apprentice (Page). Like the nervous system which receives, integrates, and transmits knowledge, the consciousness goes through these same three stages to accomplish major life changes. You have been programmed by DNA in every cell to spiral onward until, as your awareness increases, you are more and more able to take over the job of programming yourself. In other words, you are meant to become a Goddess -- a Creator of your own reality. 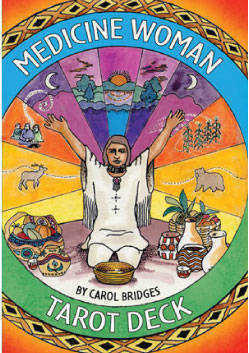 The beginning of this awareness of self-creation, if you call the Medicine Path, and you who walk on it a Medicine Woman. "Medicine" is used in the Native American sense to mean 'healing", it is a force that corrects that which was out of balance. 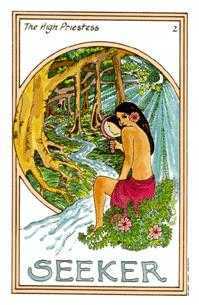 One uses the words "Medicine Woman" rather than "Medicine Man” because the medicine of this deck is to assist in restoring balance within society and individuals, and it is the feminine aspect which we currently need Whether you are male or female. This deck is meant to bring the feminine healing aspect of you into realization.